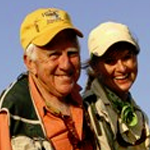 We’d like to show you some of our favorite aspects of this sport we both love so much. 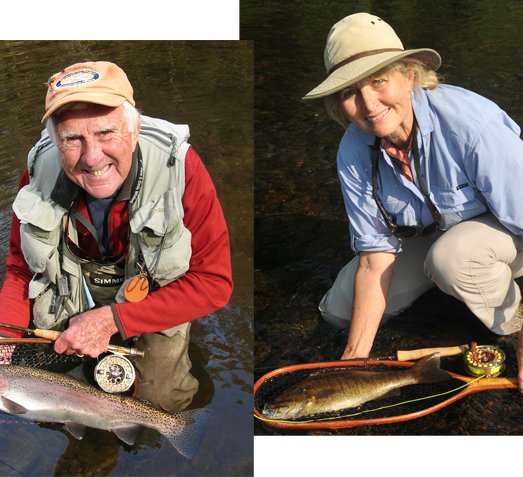 No other sport offers so many marvelous areas of interest: from fly fishing and tying to conservation and interaction with nature, from good friendships to just sheer enjoyment. 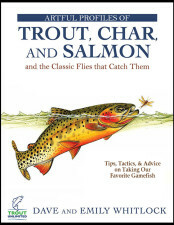 Explore this site to see why we love fly fishing so much! 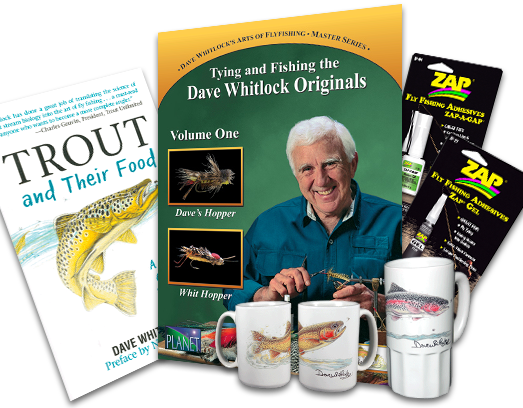 Dave is an author, artist and world-renowned fly designer. 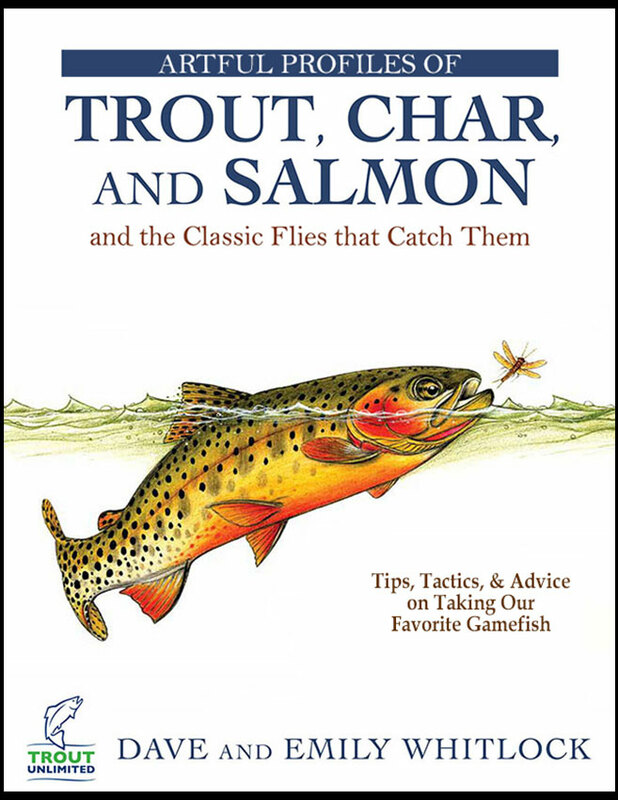 You’ll find the books he’s written, his videos, Dave-tied collector flies, art prints and some of our other favorite fly-fishing products in our online store. And, all books are personally autographed by Dave! 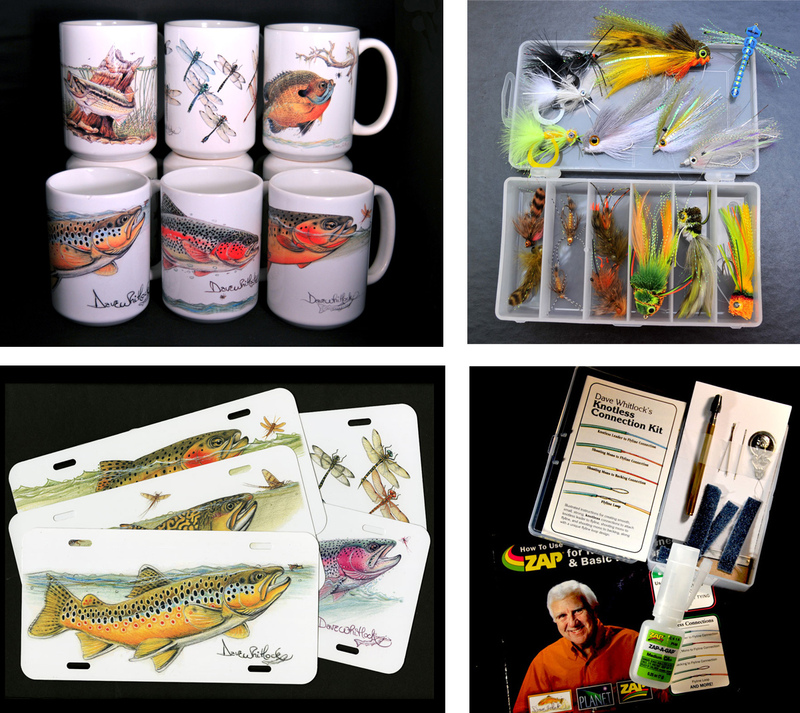 Visit our fly fishing shop! 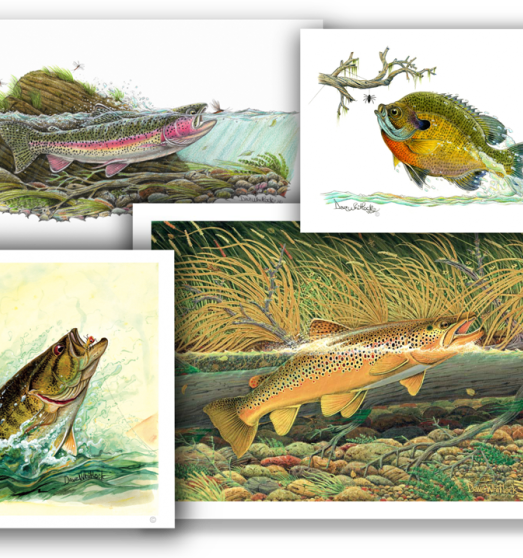 Dave’s most popular fine-art prints and many originals are available on our website! Please take a look at our Art Gallery in our online store … and enjoy! 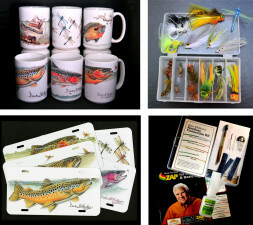 Our webstore is full of all kinds of great gift and stocking stuffers!